It’s my sincere desire to help people escape from their daily grind to another world! 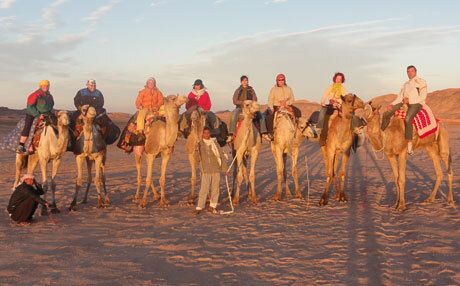 How better could this be achieved, then by camel trekking in the desert? … arriving at an inner stillness within the framework of a well executed tour, which will let us to travel like the ancient ones centuries ago. … day to day external stimuli just disappear while you are given the chance to experience an inner equilibrium … letting your soul “float”. There are camels, which will softly sway us through this almost dreamlike, constantly changing landscape, the caring bedouins, always concerned for our welfare and wellbeing, desert as far as the eye can see with its peace and quietness, the intense rays of the sun by day and the starry skies by night, the desert displaying its various shapes of rocks and its rich diversity and beautiful colours – all this and more will accompany us and help us on this wonderful journey. 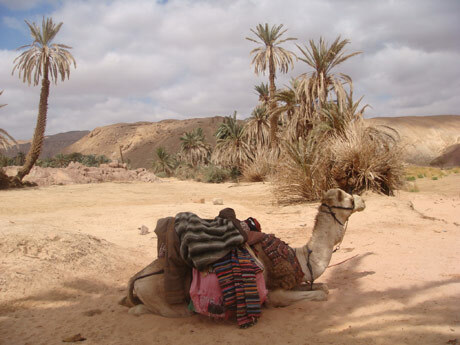 I am offering you an unforgettable week long camel trekking and hiking tour in autumn, around New Year and in the winter months. Navigating this website, you will find all the necessary information for these trips.